Engineers day celebrates the efforts of Engineers in Mexico, who dedicate themselves daily to solving challenges and providing society with a safer environment. 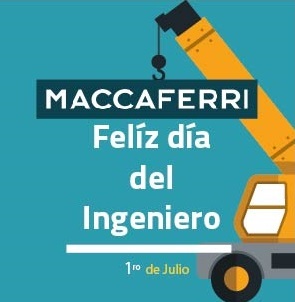 Maccaferri Mexico will celebrate the National Engineer’s day on July 1st of this year. Maccaferri both values and praises its engineers for delivering exceptional solutions for works both nationally and internationally. Engineers Day is celebrated across the world on different days. Most countries have different days that they celebrate as ‘Engineers Day’ or ‘Engineering Day’. Mexican engineers yearly celebrate their professional holiday on July 1. This holiday was established in 1973. Engineering is one of the most challenging and prestigious professions worldwide. The profession was first developed for the construction of military facilities, but soon found its way to other industries. In light of this expansion, civil engineering was born. The idea to commemorate Mexico’s engineers was born in 1972. Eugenio Mendez Docurro, Mexican politician and engineer, was the first to label the day as such. At that time, he served as Secretary of Communication and Transportation. He also has been director of the National Polytechnic (IPN) from 1959 until 1962, and he was famous for being the first director of the National Council of Science and Technology–Mexico’s entity in charge of the promotion of technological and scientific activities, granting scholarships for postgraduate studies. The specified date was chosen after conducting the investigation on historical events relating to engineering in Mexico. This date marks the anniversary of the Royal Proclamation on the creation of the Real Court of Mining in 1776. This proclamation led to the establishment of the Royal School of Mines, where the first curriculum of the engineering profession was drafted. Since the creation of the holiday, Engineer’s Day is annually celebrated by all engineers and students in Mexico. This event marks the extensive efforts taken to provide communities with daily necessities and logistics requiring engineering work. Maccaferri encourages everyone to congratulate engineers for their contributions to society.